Take your pupils on the most exciting of geography school trips! 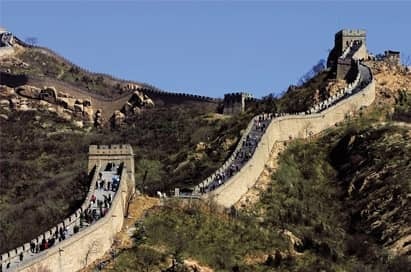 China offers an exhilarating educational journey with its huge contrasts and wide range of tourist attractions. On a geography field trip to China your pupils will see spectacular scenery and experience charming and inquisitive hospitality. 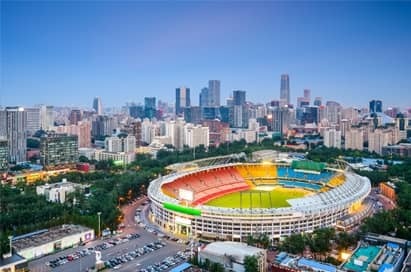 The 2008 Olympic Games provide an excellent geography visit and give a fantastic insight into urban development and rebranding, whilst the controversial Three Gorges Dam makes for a fascinating field trip excursion. Whether visiting the ultra-modern city of Shanghai or the traditional settlements in the Yangtze Valley, a geography tour to China will stay with your students for a lifetime. A geography trip here is ideally suited to GCSE and A-level pupils, but there is much to be enjoyed and learned for KS3 too. 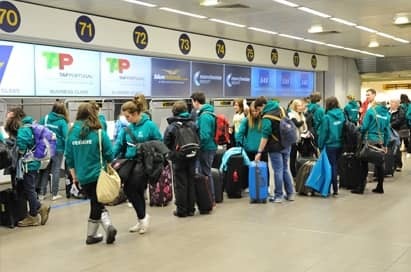 Price shown is based on 40 paying passengers from selected departure points in February 2020 and is subject to availability. 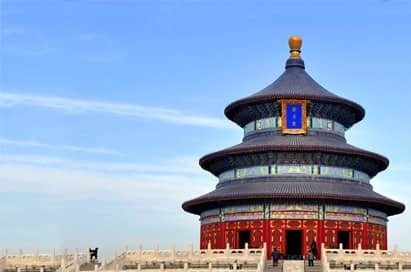 The Temple of Heaven is located in southern Beijing. It was first constructed in 1420, the 18th year of the reign of Ming emperor Yongle and was extended and renovated during the reigns of Ming emperor Jiajing and Qing emperor Qianlong. It was the place where the emperors of the Ming and Qing dynasties would worship the god of heaven and pray for good harvest. Covering an area of 273 hectares, it is the largest architectural complex in the world for rituals to pay homage to heaven. Take your group for a walk along a section of the Great Wall of China, one of the greatest wonders of the world, which was listed as a World Heritage by UNESCO in 1987. It winds up and down across deserts, grasslands, mountains and plateaus, stretching approximately 21,196 kilometres from east to west of China. With a history of more than 2,500 years, some of the sections are now in ruins or have disappeared. However, it is still one of the most appealing attractions all around the world owing to its architectural grandeur and historical significance and is definitely an attraction not to be missed. Not far from Beijing City, at the foot of Tianshou Mountain, is the Ming Tombs, where lie the mausoleums of thirteen emperors of the Ming Dynasty (1368 - 1644). Since 1409 when Zhu Di, the first emperor of the Ming Dynasty, built his Changling Tomb here, the succeeding twelve emperors had their tombs built around Changling during the next 230 years, covering a total area of over 120 square kilometers (46.3 square miles). This is the best preserved tomb area with the most emperors buried. Every year millions of tourists come to the site to appreciate its long history and palatial architecture. 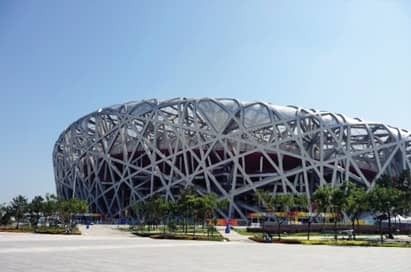 The Beijing National Stadium, known colloquially as the Bird’s Nest, was the spectacular setting for the 2008 Olympic and Paralympic Games. Students can tour this large steel structure while your guide shares their own memories of the games and the legacy the games have left behind. Located at the centre of Beijing city is the remarkable Tiananmen Square, your students will gain an appreciation of the cultural diversity the city has to offer. You can visit the Tiananmen Tower, Monument to the People's Heroes, Great Hall of the People, Chairman Mao Zedong Memorial Hall and see the national flag raising ceremony. The square was the front door to the forbidden city and is a must place to visit in Beijing City. 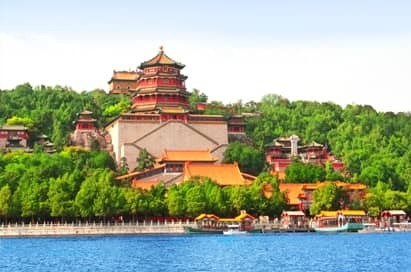 Situated in the Haidian District northwest of Beijing city, the Summer Palace is 15 kilometres from central Beijing. 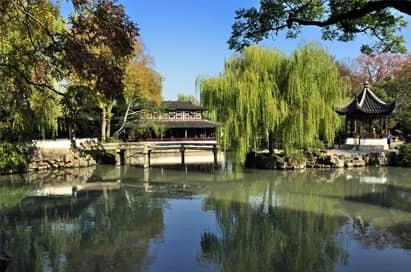 Being the largest and most well-preserved royal park in China, it greatly influences Chinese horticulture and landscape with its famous natural views and cultural interests, which also has long since been recognized as 'The Museum of Royal Gardens'. Take your students on an exciting and interesting shopping trip to the Friendship store which is one of the largest departmental stores with a long history in Beijing city. 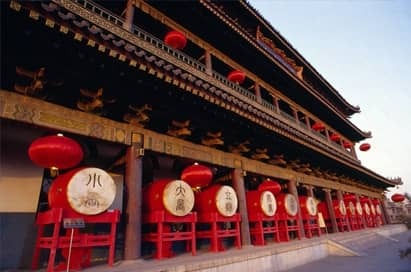 Plus, take a visit to Silk Alley Market which is probably the most visited place in Beijing. Take an internal flight to Chongqing and then set sail on an amazing three day 5* cruise through spectacular scenery. 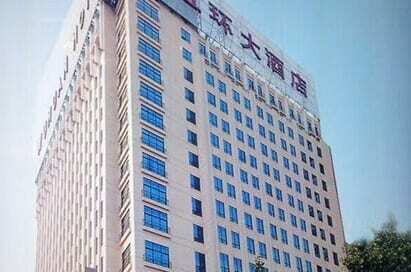 Day 1: Stop at the new town of Fengdu; the old town is now flooded due to the Three Gorges Dam. 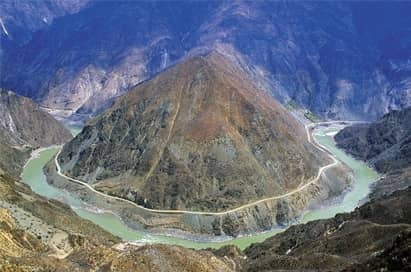 Day 2: Cruise through the Three Gorges - Qutang, Wu and Xiing - and along the Shen Nong Stream. Day 3: Your group will visit the dam itself, renowned as the world’s greatest dam and HEP project. The project is named on a number of specifications as a recommended case study and ties in with the new AS/A2 study themes. An ancient city with a 2,500 year history! Visit the Humble Administrator’s Garden and the silk factory. A short cruise on the Grand Canal will fascinate your students as they observe the river life and this amazing city from an ideal viewpoint. Xian offers opportunities to study cultural diversity and observe tourism impact and management strategies. Marvel over the Terracotta Army, dating from 210BC and discovered in 1974. Make a short visit to the Huaqing Hot Spring before spending time at the Big Wild Goose Pagoda, a well-preserved ancient building and a holy place for Buddhists. Spend time exploring the Muslim Quarter or cycling along the top of the city walls. You could even enjoy the Tang Dynasty Show, which past groups have said makes a great evening activity. 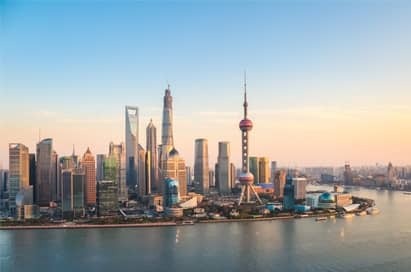 Shanghai’s rapid economic development perfectly exemplifies the issue of globalisation, and also links to studies of world cities, urbanisation and development. Visit the Oriental Pearl TV Tower, Pudong’s special economic zone, China’s busiest shopping street, Naying Lu, and People’s Square where Tai Chi is performed at sunrise. The Jade Buddha Temple and the Yuyuan Gardens are also excellent visits. 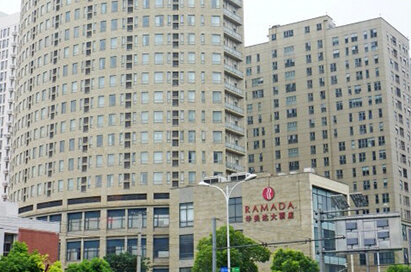 Why not end your day with a fantastic evening cruise on the Huangpu River! This traditional Chinese village gives your group an insight into the hard reality of life outside the big cities. Your students can visit villagers in their homes and see the hard work that goes into producing their organic food. Hutong is an ancient city alleyway or lane typical of ancient Beijing. 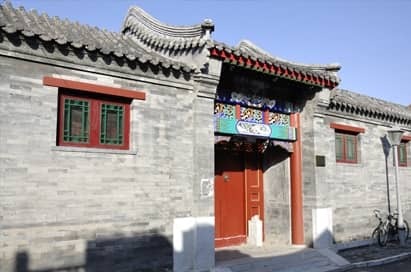 Your local guide will introduce you to several interesting old hutongs in the Houhai area and to a local hutong family. Your group can have lunch with the local residents and have a short talk. First you will be introduced to the different painting styles in different times of Chinese history in a local art gallery. 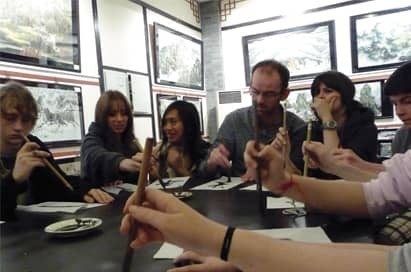 Then, everybody will get a brush pen and rice paper and learn some basic strokes of Chinese calligraphy. The local art teacher will show you the basic skills of Chinese painting, like drawing a panda and Chinese bamboo. 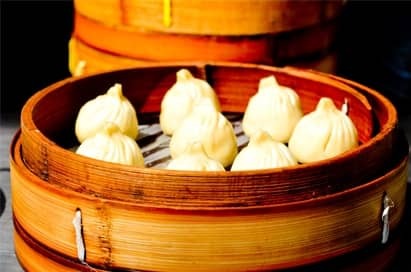 Your local guide will give you some information about Chinese cuisines, then, in the kitchen of a local restaurant, the chef will show you how to cook Chinese dishes and how to make dumplings. Through this cooking lesson, you will learn the basic recipes, cutting skills, seasonings, and you will also get the chance to make your own dishes. Developed by experienced geography teachers, our free China Educational Resource Pack contains a wealth of information for use before, during and after your tour. A visit to China will stay with your pupils for a lifetime. They’ll see spectacular scenery, whether visiting the ultra-modern city of Shanghai or the traditional settlements in the Yangtze Valley. This is a trip ideally suited to GCSE and A-level but there is much to be enjoyed and learned for KS3 too.